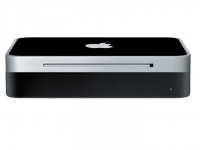 Will Apple TV Get DTV? Tomorrow tuesday is a big day for Apple fans. I am one of them. At least in one or two aspects. I love my Ipod and my Apple TV. Smartest things since computers where made. I don´t really watch broadcast TV that much any more. And I thought that I wouldn’t write on this blog very much more. But things changed. Speculations are dense about what will happen at tomorrows Apple event. Will there be a new Ipod or even a new Apple TV? The spark that caught my attention was a tech blog post on Forbes about one persons wish about the Apple TV. That it would get a DTV tuner, Blu-ray player and more. A fully equiped livingroom saviour for people affected by the DTV switch next year. Or why not everyone looking for something else to watch than traditional broadcast or cable TV. Peter S Magnusson is a Swedish entrepeneur in Silicon Valley. He blogs about how he wishes the Apple TV do more, be more and become a commodity for the massses, perhaps? He predicts the birth of the Apple TV 3.0. I am all for that. My Apple TV is the best way to watch TV content. I love it. Easy to use. Great selection of podcasts, that for me is the same as ordinary TV. Who can tell the difference? There are many innovative podcast shows thaht bring fresh ideas and content to the old tube, even now when it is flat.. Also it is a saviour for families with kids, when you might watch Nightly News, Meet the Press at your own terms. The remote control is a killer – not a single DTV box maker can match Apples simple remote that anyone can handle. And people need that. DTV boxes are far to complicated and hard to use for anyone. So, if Apple get the idea of mixing DTV with the Apple TV I can only praise them for doing one more smart move, and it is about time. I wrote about another match between Apple and DTV months ago – check here.. This entry was posted on Monday, September 8th, 2008 at 9:35 pm and is filed under Uncategorized. You can follow any responses to this entry through the RSS 2.0 feed. You can leave a response, or trackback from your own site.